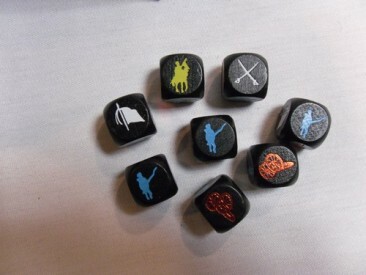 These dice are approved by GMT Games for use in the wonderfully popular game Commands & Colors Napoleonics. They are lacquered wood dice in black with embossed symbols. Improves your Commands & Colors gameplay experience!